C.H. 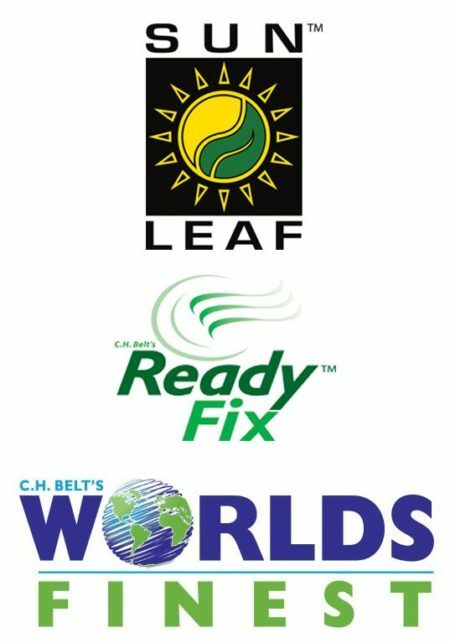 Belt’s SunLeaf, World’s Finest™ and C.H. Belt’s Ready Fix™ brand products are distributed throughout the United States, Canada, and Latin America. C.H. Belt, is totally committed to comprehensive food safety and quality assurance processes. We work with growers and packers to ensure that from the field to the finished packaged product, the strictest food safety practices are adhered to. We outsource product safety testing to Silliker, Inc., an international leader in food safety technology. C. H. Belt, corporate offices are located in Lake Forest, CA. Our distribution warehouse is Rancho Cold Storage, strategically located in Los Angeles, CA. The History of C.H. Belt the man. When you think about fruits and vegetables, you probably picture lush gardens or fields and baskets overflowing with incredible produce. Consider all of the family history and generations of work that went into the creation of providing a business to get these healthy and nutritious products to our families. C.H. Belt has a long, rich history in the fruit and vegetable industry beginning with the creation of Frosted Fruit Products owned by Jim Lawless, Carle Belt Jr and Jack Atkinson. FFP was started sometime in the mid 40’s. Carle was the Sales Manager and he traveled to military facilities to sell the limited amount of frozen items that were available at that time. At that time almost all fruit and vegetables were offered as fresh or canned, rarely frozen. In December of 1965 Frosted Fruit Products was purchased by Pet Milk Co. and Carle was asked to stay on board to help with the transition. This lasted from 1965 through 1968 when he was asked to move to Saint Louis and continue working for Pet which he declined. Carle Jr. founded C. H. Belt & Associates™ as a family business in Southern California to market frozen fruit and vegetable products manufactured and packed by several suppliers. He also established C.H. Belt’s Worlds Finest™ and C.H. Belt’s Ready Fix™ brands for the food service market. Today, these two brands are well known and respected in both the food service and industrial ingredient markets. 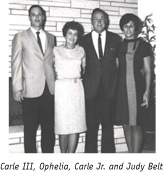 When Carle H. Belt Jr. retired in 1984, his son, Carle III, and son-in-law, Bob Eggert, purchased the business. Bob had joined the company in 1973 and the office was moved to Irvine, California right across form John Wayne Airport. Under their joint leadership, C.H. Belt & Associates™ grew to become a full line brokerage where they represented major brands such as McCain, Pillsbury, Dannon, Tazo Tea and pioneered some smaller brands introducing them to accounts in Southern California. In 2001, Bob Eggert refocused the business back to its heritage of providing frozen fruit and vegetable products, moving away from the brokerage side of the business. Today, C.H. Belt maintains the family legacy. Carle Jr.’s daughter Judy (Belt) Eggert, Bob Eggert, and their two children, Kevin Eggert and Sharon (Eggert) Sumlin, continue to provide superior products and customer support. This management team is dedicated to Carle’s original vision of supplying premium quality frozen fruit and vegetable products to both Food Service and Industrial accounts. 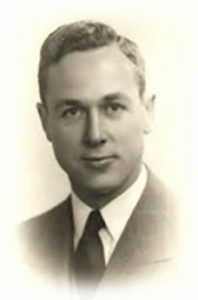 Carle H. Belt, our founder, was a pioneer in the frozen fruit and vegetable business in Southern California. His early ventures set the stage for the modern frozen fruit and vegetable market model. We look forward to carrying on this long-held family tradition. C.H. Belt provides innovative ways to supply fruits and vegetables at peak nutritional value as Mother Nature intended.